Bangalore Literary Festival doesn’t seem to have a literary agenda & coherent conversations. It is more a publisher driven event than an organic intellectual or literary phenomenon. 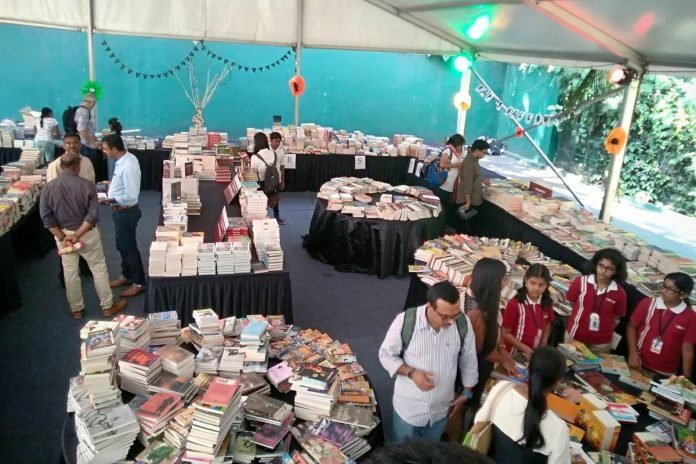 The sixth edition of the Bangalore Literature Festival (BLF) is being held this weekend on the grounds of hotel Lalit Ashok, Bengaluru. The venue shares a wall with the chief minister’s home-office. The lush green, picturesque grounds of Bangalore Golf Club are across the street. At two stages, ‘Speak Up’ and ‘Speak Out’, named appropriately to reflect the contemporary mood in the country, more than 120 speakers will participate in 47 different panels. At least 15,000-20,000 Bangaloreans are expected to participate. Predictably, the memory of Gauri Lankesh features prominently at the festival, as the opening panel itself addresses her memory. On Sunday, a volume of Gauri Lankesh’s writings entitled The Way I See It – A Gauri Lankesh Reader, edited by Chandan Gowda, will be launched. In the years past, BLF has had its share of trouble. Most notably in 2015, controversy erupted over some comments made during the intolerance debate by Vikram Sampath, one of the original founders of BLF. Sampath had then spoken critically of those Indian authors who were returning awards given by either the Sahithya Akademi or the Indian government. Soon after, three Kannada authors withdrew their consent to participate in the fourth edition of BLF. As the controversy raged, Sampath himself resigned from his position as the director of BLF and hasn’t participated in any BLF related activity since then. While the 2015 controversy mostly focused on the intolerance debate, it also touched upon a tension BLF has dealt with since its inception: given that the language of BLF is primarily English, how to integrate Kannada language and writers into BLF’s panels? Kannada writers spoke about how the core concerns of Kannada literary culture or language movement are rarely addressed by BLF’s organisers. Each edition of BLF has had Kannada focused panels but the participation of Kannada writers has appeared more like tokenism than an organic engagement with Kannada literary sensibilities. A majority of the Kannada authors invited to BLF are those who are either being translated into English or bilingual writers. Names of Chandrashekar Kambar, Vivek Shanbhag and Vasudendhra spring to mind. Note that BLF’s core team hasn’t had within it a major Kannada writer who could provide that much needed understanding of Kannada literary culture. Such a critique emerging from among Kannada litterateurs also opens a more significant question about the place of literature at BLF and other similar literary festivals, now being organised in all major Indian cities. Literary figures, not just from the Kannada world but also from across India, have commented on how celebrities from the world of politics, journalism, sport and cinema have dominated BLF panels. The alleged interlopers, on the other hand, defend their right to be a part of this festival. Ramachandra Guha, who is scheduled to speak on ‘Jingoism vs Patriotism’, told the Economic Times that “one cannot cordon off literature from life itself. The BLF will feature a wide range of writers and themes, some narrowly ‘literary’, others exploring the wider role of ideas in society and politics”. Even those sympathetic to Guha’s position might still have to reflect on how BLF coheres as an event. Consider the range of panel themes a literary enthusiast might witness this weekend. Some are narrowly literary, as Guha puts it. ‘The World of A.K. Ramanujan’ or ‘Literary Fiction: An endangered species’ are examples of literary panels. The literary enthusiast might find a few more panels on non-fiction books. More numerous are panels on random contemporary phenomenon. Examples for such panels include ‘Aadhaar: Dystopia or Utopia’, ‘Death by Litigation – The Perils of Business Reporting’ and ‘How India’s T20 World Cup Win changed Indian and World Cricket’. Some of the participants in these panels have written books on related themes. For instance, cricket historian Gideon Haigh and TV anchor Rajdeep Sardesai have recently published books on cricket. Cricket panels are ostensibly to discuss their books. Further star value is added by the presence of Anil Kumble and Rahul Dravid. Given the range of non-fiction writings, it is no wonder then that a diverse group of public figures such as Jairam Ramesh, Arun Maira, Hardeep Singh Puri, Nidhi Razdan, Suketu Mehta and Twinkle Khanna are featured speakers this weekend. How do these conversations at BLF cohere then? Are they just about books which are published by mainstream English language publishers in that particular calendar year? I was a panelist at the fifth edition of BLF. I found the participant interest genuine and enthusiasm infectious. Yet the jarring lack of coherence in the event was evident to the literary enthusiast. Such disconnect is due to two factors. First, unlike regional language literary festivals, many of which draw hundreds of thousands of participants, BLF doesn’t appear to have a literary agenda. It simply isn’t organically developing out of a literary phenomenon. Second, BLF seems to be a publisher driven event than an organic intellectual or literary phenomenon. Authors, both established and new, participate in these festivals to publicise their books. I am merely presenting this as a sociological quality of literature festivals such as BLF and not as an ideological critique.